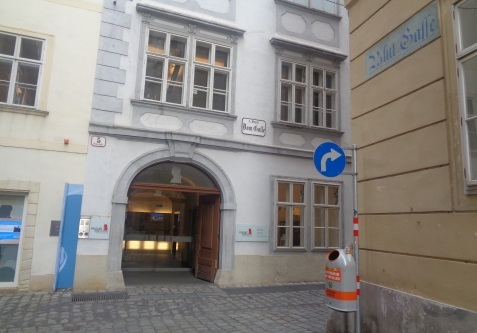 How to get to Madame Tussauds Vienna by subway: The Mozarthaus is a residential building that is normally located in the centre of Vienna, about 100 metres from the central church St. Stephen’s Cathedral. 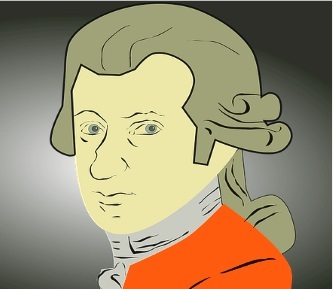 Wolfgang Amadeus Mozart lived for more than two years in a 4-room apartment on the first floor for rent (autumn 1784 to spring 1787). Today, large parts of the building are a museum. Mozart’s former apartment can be visited (so-called Mozart apartment). As far as we know, the Mozarthaus Vienna is the only surviving apartment where the composer lived. In other rooms of the Mozarthaus, also in the cellar, there is a museum or a permanent exhibition about Mozart and his time in Vienna. In the apartment on the first floor he composed the opera „The Wedding of Figaro“. The Mozartmuseum in the Mozarthaus is a modern exhibition in which you can also hear many things. However, as far as we know there are few original objects by the famous composer in the Mozart Museum and in the Mozart apartment. In the cellar there is a hall with excellent acoustics, in which classical concerts take place (Bösendorfer Hall). Is a visit to Mozarthaus Vienna worthwhile? Our opinion: The Mozarthaus is well made and modern. However, the entrance fee (see below) is rather high. If you are interested in Mozart or would like to know more about his time in Vienna, you should visit the Mozartmuseum. On the Internet, positive reviews predominate. Owners of the Vienna Pass should definitely come by. It is only a good hundred metres from the central square around the cathedral. The entrance fee for adults is 11 Euro (exhibition, Mozart apartment, etc.). There are some discounts for students, seniors, etc. (about 9 Euro). The tickets are also available on the Internet at this website. The entrance fees online also cost 11 euros including audio guide and some more. Who is interested in the old Viennese composers: There are other houses and exhibitions in the city such as the Beethovenhaus, the Haydnhaus, the Johann-Strauss-Haus, Schubert’s birthplace, Schubert’s death house, etc. With the Ticket Vienna Pass, almost everyone can visit Vienna free of charge.